Phase one of LitChat’s multi-faceted BOOKS ARE GREAT GIFTS (#BAGG) campaign began with the creation of a “twibbon” (http://twibbon.com/join/Books-Are-Great-Gifts) created especially for Twitter users to adorn their avatar as a show of support for book sales. LitChat has issued a challenge to this phase: For every Twitter user who wraps the #BAGG ribbon on their avatar, LitChat will personally give $1 to its adopted literacy charity, The Reading Tree (up to $250). Phase two includes a section of the LitChat website devoted to book recommendations with links to book publishers, bookstores, book blogs, and reader reviews. Phase three brings everything together with an auction of books donated and signed by authors. The auction will take place through Twitter on December 18, 2009, beginning at 6 p.m. EST. All proceeds from the Twitter auction will go directly to LitChat’s adopted charity, The Reading Tree. After much search through literary charities, LitChat was pleased to find The Reading Tree, a non-profit organization that collects donations of new and used books in communities all over North America. Books collected by The Reading Tree are either recycled or placed in schools throughout the US and Canada, as well as in third-world countries. LitChat is a community of readers, writers and publishing professionals who meet for lively book chat three days a week through Twitter. Founded and moderated by Carolyn Burns Bass in January 2009, LitChat’s first online chat occurred February 2, 2009. Our first author guest host, Eric Barnes, appeared for a #litchat on March 6, 2009. In subsequent months we have given the twit-mic to nearly 50 authors to promote their books and connect with readers through this extraordinary, quick-paced platform called Twitter. 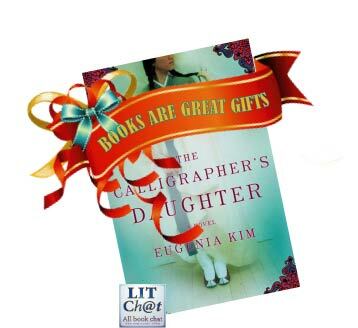 We invite you to help us promote book sales, reading and literacy charity through LitChat’s Books Are Great Gifts campaign throughout the month of December.